Giant and Liv announced today that they will transition away from Team Sunweb at the end of 2018 and begin a new partnership with CCC Team at the start of 2019. The sponsorship includes a pro men’s WorldTour squad (CCC Team), an Under-23 men’s team (CCC Development Team), and an elite women’s team (CCC-Liv Team). Giant and Liv have been linked with SMS Cycling B.V, the owner of Team Sunweb, for the past five seasons. From racing to product development, the partnership delivered major wins and memorable moments in both men’s and women’s road racing. Highlights of that partnership include world championships, grand tour stage wins and a Giro d’Italia title. Together, Team Sunweb and Giant achieved major success at cycling’s biggest event, the Tour de France, including winning the overall green and polka dot jerseys in 2017 and scoring an overall podium finish with Tom Dumoulin in Paris this year. CCC Team marks the next chapter for Continuum Sports, an organization with a successful track record of managing WorldTour pro road racing teams. Continuum Sports welcomes its new title sponsor CCC and the technical partnership with Giant for 2019 and beyond. CCC, based in Poland, is one of the largest footwear brands in Europe with more than 1,000 stores in 19 countries. 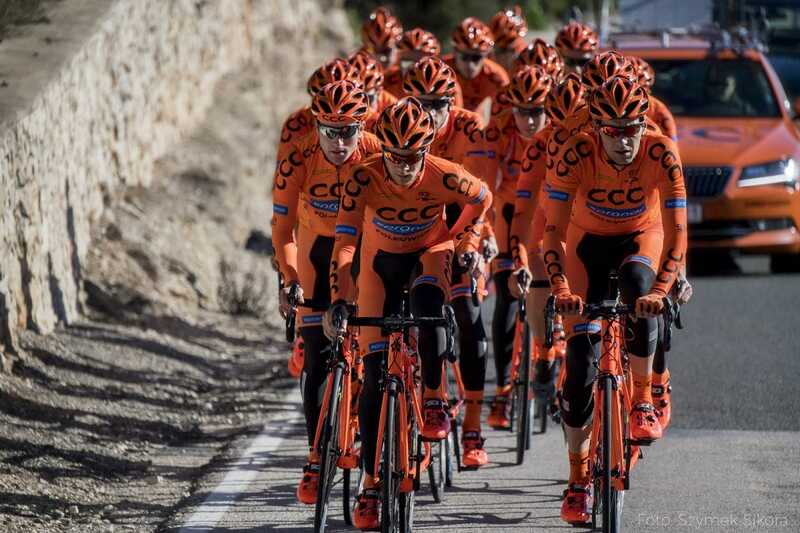 CCC will also sponsor a Continental U23 team and become title sponsor of WaowDeals Pro Cycling, the elite women’s team that will ride with Liv bikes and gear. The current agreement between Giant and Liv and the three CCC-sponsored teams is set for three years. “We are delighted to welcome Giant as the bike and primary technical partner of CCC Team,” said Continuum Sports General Manager Jim Ochowicz. “In 2019, we will start a new chapter as a team and the partnership with Giant will see our riders race on some of the best bikes in the world. The biggest WorldTour races, including time trials, one-day classics, and grand tours, have been won on Giant bikes over the years which is a testament to their expertise and groundbreaking technology and design. “When discussions began with Giant, it was immediately clear that the partnership was a natural fit for both parties so we are looking forward to promoting the Giant brand, our shared vision of continuous innovation, and our passion for cycling from 2019. The men’s WorldTour squad will feature current Olympic champion Greg Van Avermaet. One of cycling’s biggest stars, the Belgian pro has won Paris-Roubaix and numerous other major one-day classics, along with stages at the Tour de France, Vuelta a España and other stage races around the world. On the women’s side, 11-time world champion and two-time Olympic champion Marianne Vos (2008, 2012) will lead CCC-Liv Team. The Dutch superstar, known as one of the greatest cyclists of all time, will be reunited with Giant and Liv, whom she previously raced with for many years as a member of Team Rabobank. Full rosters for the pro men’s team, U23 development team and Liv-sponsored women’s team will be announced later this year. With more than 20 years of continuous support for road racing at the highest level by Giant, and 10 years of continuous support by Liv, both brands will continue their mission to develop cutting edge bikes and gear to help give racers a competitive edge. Engineers and product developers from Giant and Liv will work closely with CCC Team riders and staff to continue a leadership role in road racing technologies and innovations. The men’s teams will race and train with the latest TCR, Defy and Propel road bikes, plus the Trinity TT bike. The women’s squad will race with the Liv Langma along with the all-new EnviLiv aero bike. All three teams will play a critical role in helping Giant and Liv develop and test helmets, footwear, saddles, cockpit components, WheelSystems and more.